Nigeria and Belgium have a 56 year diplomatic relations. When the new Ambassador of Nigeria to Belgium presents her Letters of Credence to His Majesty, Phillipe I, King of the Belgians today, Wednesday 13 September 2017, the relationship will witness a new era. Ambassador Nonye Udo will make history as the first female Ambassador of the Federal Republic of Nigeria to the Kingdom of Belgium. 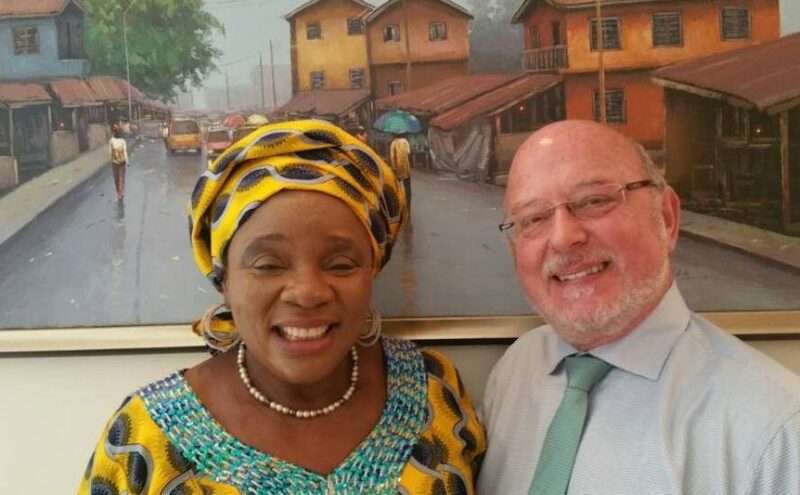 With this, one can say that Belgium has a lesson to learn from Nigeria on gender equality and gender balance because unless I am mistaken, no woman has ever had the opportunity to be appointed Ambassador of Belgium to Nigeria. For a change, Belgium is therefore welcome to play the catch-up here. That is on the lighter side. 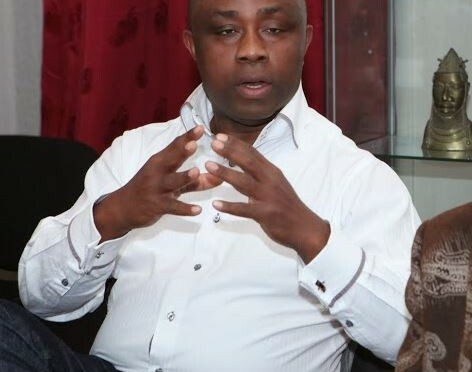 On a more serious note, Ambassador Nonye Udo was not sent by President Muhammadu Buhari to represent his Government in Belgium, with concurrent accreditation to the Grand Duchy of Luxembourg and the Mission to the European Union because he is desirous to making history. Far from it. The plain fact is that a seasoned diplomat who knows her onions was appointed on merit into one of the most strategic diplomatic posts for Nigeria. That seasoned diplomat simply happened to be a woman, one whose appointment made history! That raises the curious question of what is Her Excellency’s story? Who is Nonye Udo? Those in the know of her person and career would, before anything else, describe her as “A fine Foreign Service Officer” Ambassador Nonye Udo is a career diplomat. Having served at different diplomatic posts worldwide including Nigeria’s Mission to the United Nations, was until her appointment the Director of the Department of International Organizations at the Abuja Headquarters of the Ministry of Foreign Affairs of Nigeria. The strategic nature of Brussels in the scheme of things in Nigeria’s global aspirations perhaps gives one a sense of why President Buhari made that decision to send unarguably the best to Belgium. As I reflected on the shape of this new diplomatic era, the challenges that face the Nigeria-Belgium relations, but also the huge opportunities awaiting Nigeria and Belgium to explore, and in a funny way, what readily comes to mind was one of the trickiest media questions I’ve had to answer as Belgian of Nigerian origin. A cheeky journalist, bent on testing my loyalty or allegiance to these two countries that mean the world to me. This was on the occasion of a football match between Nigeria and Belgium. He went: which country do you favour to win this match – Belgium or Nigeria? I paused and looking him straight in the eyes and without thinking, I responded that the better team will win and whichever it is, it’s a WIN for me all the way. I am not sure, but walking away, the mischief-maker looked disappointed. He appeared not to have gotten the answer he wanted that would create certain kind of news sensation for him. In a note I sent earlier today to the amiable Ambassador, I opined that beyond confirmation of her formal diplomatic accreditation as Nigeria’s Ambassador to the Kingdom of Belgium, I am sure that I will be expressing the sentiments held deep in the hearts of many Nigerians and Belgians with interests in both countries that her historic appointment as first female Ambassador could not have come at a better time. “You must have every reason to feel a great sense of honour to be head of mission in a country with which Nigeria has such a cordial, mutually beneficial, long-standing diplomatic relations dating back to 1961, and with which there are so many opportunities for collaboration across many fields of endeavour including trade and investment, manufacturing, agriculture, machinery, energy or power production and distribution, sports and culture, to name but a few” I said this with confidence because long before Her Excellency assumed office, the Belgium Luxembourg Nigeria Chamber of Commerce, a network of business people and players, Belgians and Nigerians, of which I have the privilege to serve on the Board as Director Business Development and a number of other groups and individuals, have been working to reinforce these ties, and to forge new alliances. My personal goal, which I am sure a significant number of peers share with me, is to set the ball rolling towards taking the Nigeria-Belgium bilateral relations a notch higher, outside the multilateral sphere. Contacts with our Belgian friends and associates do confirm their favourable disposition and readiness to enhance engagement with Nigeria. My immediate constituency of West Flanders boasts of the finest industries in pharmaceutical manufacturing, food and beverage as well as tourism and agriculture, exactly the sectors that Nigeria is impatient to delve into, since the future is no longer oil. When I close my eyes, these are the industries I see and wish to get business people from both sides talking business. The Embassy could be an omissible arranger and facilitator. I also thought of my Nigerian-Guinean Diaspora friend that works as International Civil Servant at the European Commission who once called me a “dreamer” after listening to one of my TV calls for a better balance between bilateralism and indirect international development model where the civil society organisations and the NGO’s are more involved in development projects with a lessening of Government-to-Government traditional approach. I do hope to take this dream to our new lady in town in the coming months. Who knows, we might set the ball rolling gradually. There are strong indications that Federal Government has approved the closure of nine foreign missions and their conversion to non-residency representation or concurrent accreditation. The closure is part of measures to reduce the cost of running Nigeria’s foreign representations in line with the present economic reality. The affected missions are those whose absence portends no serious bilateral or diplomatic effect. They include the Permanent Mission to the D-8 in Istanbul, Turkey; the Africa-South America Cooperation Forum (ASACOF) in Caracas, Venezuela; embassies in Belgrade, Serbia; Colombo, Sri Lanka; Kiev, Ukraine; Prague, Czech Republic; the High Commission in Singapore as well as Consulates in Buea, Cameroon and Sao Paulo in Brazil. Also approved for rationalization is the number of officers at foreign missions, estacode for local travels and award of honorary consuls. The government also ordered that posting staff of home ministries to foreign missions should be discontinued, while Foreign Service officers should be trained to carry out multiple tasks including administration, immigration, trade, culture and education related functions. The rationalization exercise will affect all 119 Nigeria’s foreign missions. Apart from 35 missions, the government directed that all other missions should be run by an ambassador and not more than three home-based staff. The level of local staffing, it said, must be controlled. A letter from the Chief of Staff to the President, Abba Kyari, addressed to the Minister of Foreign Affairs, Geoffrey Onyeama dated June 8, 2016, said the practice of violating staffing ceilings for each mission must be stopped and corrective measures be put in place. Consequently, it said, there should be a review of the staff strength necessary for each mission. “Rules and regulations as well as entitlements (estacode) for local travels at post should be reviewed downwards and strict compliance enforced. Similarly, cost and usage of communication and utility services should be reviewed and drastically reduced, and the current entitlement of house maids for senior officers other than the heads of mission and deputy chiefs of mission, where applicable should be discontinued,” it added. The federal government also discovered that the award of honorary consuls was open to abuse by unscrupulous businessmen. The practice, it said, should be reviewed in accordance with international best practices. “Some of these measures may have the effect of bloating the number of Foreign Service Officers at headquarters. To address this consequence, officers may be deployed to other ministries, departments and agencies to help coordinate their interface with diplomatic missions/international organizations. “State governments should also be encouraged to receive at least two Foreign Service officers on secondment to assist in providing guidance to their increasing interface with diplomatic missions/international organizations,” the government said. It said the arrangement would engender greater coordination and coherence within the official positions diplomats receive when they visit ministers or governors who often make statements with foreign policy implications without appropriate briefs from the Foreign Affairs ministry. “Through these Foreign Service liaison officers, not only the Ministry of Foreign Affairs, but our diplomatic missions abroad, will also be sufficiently briefed on the activities and conversations of diplomats from their host countries serving in Nigeria. “While this is only one solution, the MFA should also carefully examined the consequences of overstaffing at headquarters as a result of the planned rationalization and make other recommendations to address the problem. This may include offering redundant officers redeployment to home ministries or early retirement from service without loss of benefit,” the government said. An official at the Nigerian Consulate Office in Georgia, Atlanta, USA, according to Daily Trust said some key staff in the various missions had been directed by the Ministry of Foreign Affairs to either do a needs assessment or return home and evaluate various staff strength in the missions ahead of the shake-up. The official said the need for some staff at post was questionable, adding that there are administrative officers that have been on posting even when some of their services are not needed there. He said some missions are not needed because there is hardly any serious bilateral trade or diplomatic impact of some of those countries, some in Africa and others in Asia, which the official noted may not have been reciprocating Nigeria’s diplomatic gestures. 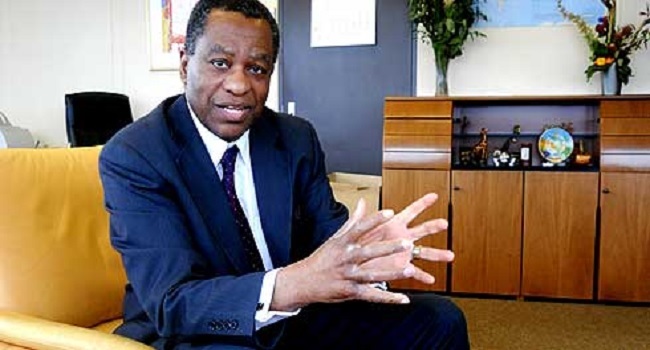 Meanwhile, a number of former diplomats frowned on the federal government decision, saying shutting of some missions sends a signal to the world that the Nigerian economy is in really bad shape. And that it will harm country’s standing in the international community more than the little money that would be saved from such decision. In this interview with the Diplomatic Suite of Fortune Magazine and in the capacity of Chairman of Nigerians in Diaspora Europe, I outlined some of the activities of the Nigerian Diaspora that point to a passive role as agents of bilateral relations.